It’s impossible to brush your teeth properly in 30 seconds. Unless, of course, you only have two teeth in your mouth! For the rest of us though, we need to spend a full two minutes brushing our teeth. Set your stopwatch and spend 30 seconds on each quarter of your mouth. Most electric toothbrushes have a built in timer which will alert you every 30 seconds. Being short on time is not an excuse. There are 1,440 minutes in a day, so it’s not hard to spend just 2 of them each morning and night. Next time you brush your teeth, watch yourself in the mirror. It will be easier to spot which areas of your mouth you’re missing with your toothbrush. Watching TV or walking around the house while brushing makes it much more difficult to do a good job of cleaning your teeth. Avoid multitasking and concentrate on the important job at hand. away. Instead, brush your teeth using a small circular motion. If you use an electric toothbrush, focus on one tooth at a time. For manual toothbrush users, brush a few teeth at a time before moving on to the next section. Hold your brush at a 45 degree angle to your gums and gently brush every tooth. 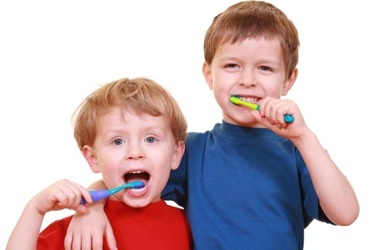 Be sure to brush the outside, inside and biting surface of every tooth. No matter how well you brush your teeth, it is impossible to clean every surface of your teeth using a toothbrush alone. Floss is needed to clean the area between your teeth, where plaque builds up. Whether you floss before or after you brush is not particularly important. The important thing is that you floss between your teeth every day before you go to bed. To properly clean your teeth, you need the right tool for the job. It’s important to use a soft or extra soft toothbrush with a small head. 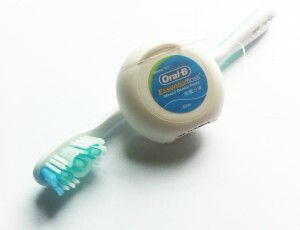 The soft bristles will clean your teeth without doing any damage to your gums. Using a toothbrush with a small head is easier to manoeuvre to reach areas which are difficult to clean. Your toothbrush will need replacing every three months. If the bristles become frayed, you may need to replace it more often. A good rule of thumb is to get a new toothbrush every time the season changes. Using the correct toothpaste is important to avoid damaging your teeth. Many toothpastes contain baking soda. While this is great at removing stains, it’s abrasive properties can leave permanent scratches on the surface of your teeth. Brushing too hard, especially in a side to side motion, can wear away the enamel of your teeth. Enamel is the top surface of your teeth and has a shiny appearance. Wearing away the enamel can eventually lead to notches in the teeth near the gums. This can cause tooth sensitivity and may require a filling to relieve the discomfort. Aggressive tooth brushing can also wear away the gums and cause recession, which also contributes to tooth sensitivity. With modern medicine, people are living longer than ever before. This means that your teeth need to last longer than they used to. Taking proper care of your teeth and avoiding these common brushing mistakes will help ensure that your teeth last for the rest of your life.